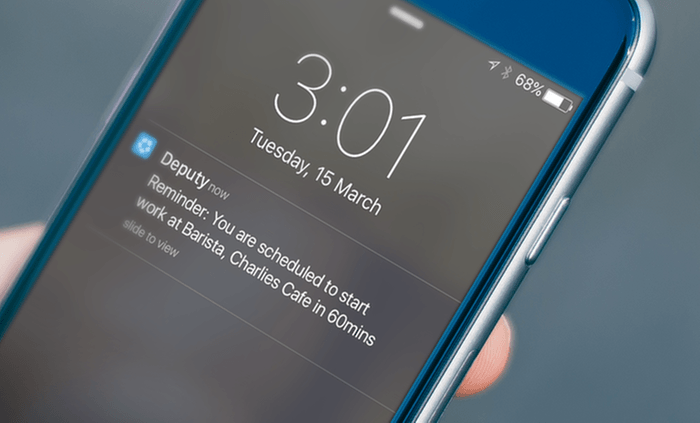 Deputy is a cloud-based workforce management solution that makes it easy to schedule your employees, manage their time and attendance, track performance and improve communication. 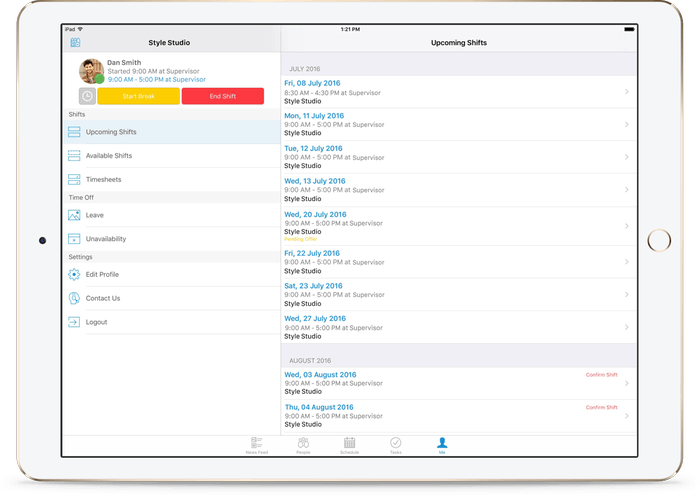 Employers and employees can use the Deputy app on any Apple or Android device for accessing their schedule, approving and requesting time off, assigning task lists and so much more With our BambooHR integration, you will be able to sync employee demographic information and location to Deputy, support compliance overtime and FLSA regulations, sync leave balance (PTO, sick leave etc..) to BambooHR and seamlessly export timesheets directly from Deputy into Bamboo payroll. Nice, simple and easy! 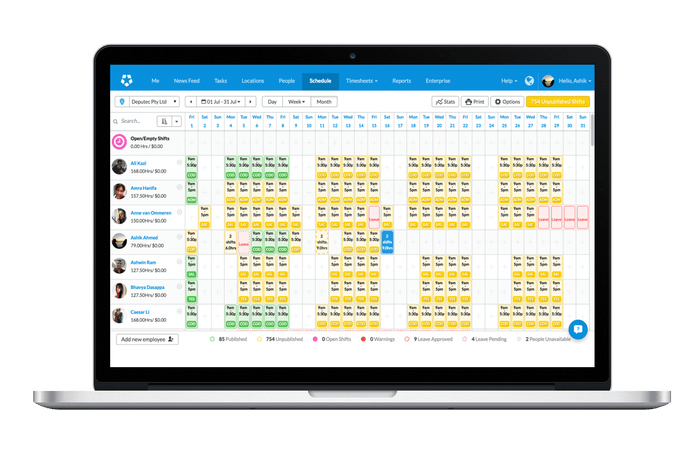 Build schedules based on real-time employee availability, time off requests, skills/certifications, and ensure you always have the best resource for the business. Publish your employee schedules using a push notification, text messaging and/or email to instantly alert your team. Optimize your work schedules to maximize productivity and reduce cost. Allow employees to clock in and out with any iOS or Android mobile device, while leveraging GPS validation to track their location. 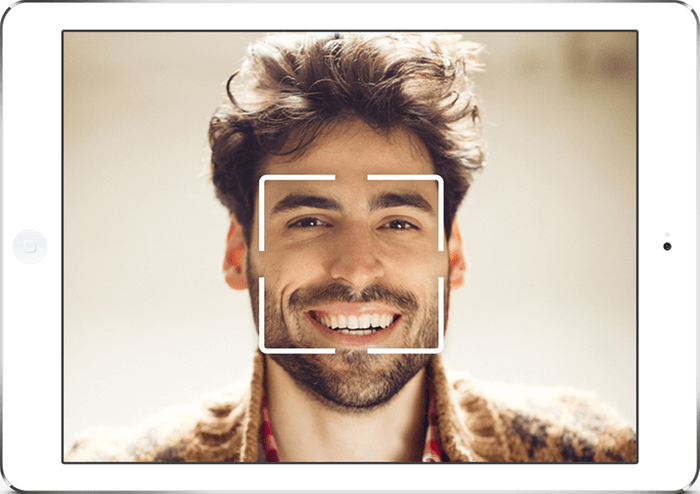 You can use the biometric facial detection feature to help eliminate buddy clocking when clocking in/out on an iPad Kiosk. All timecards are submitted by employees and can be reviewed in real time. One extra perk is that no clunky hardware is required. Are you releasing a new product or you have great news that you want to share with your entire staff? You can keep your staff informed, share important messages and contribute to the workplace conversation via the newsfeed feature in the Deputy app. This is a great way to communicate upcoming events and reminders. You have the option of sending the message to the entire team or by a specific location then having the employees confirm that they read the message. Protect your business in case of audits and disputes and avoid non-compliance with labor laws. You can set paid and unpaid meal breaks per shift then notify the employees to take the break at certain time of the shift. The pre-built “stress profiles” (Deputy’s term for Overtime) are used to select common or state-level overtime rules. Alerts will appear if scheduling an employee into an overtime situation and alerts are sent to the employee and manager if the upcoming shift will exceed overtime. Many businesses who track hours on pen/paper or antiquated scheduling systems can’t see Paid Time-Off (PTO) accruals balances when requesting or approving leave. Deputy allows you to create “Accrual Rules Engine” where the PTO/Leave/Vacation accruals can accrue based on your rules. Other features like the “accrued PTO visibility at the time of request, PTO Balance Integration, Future Shift Conflict Resolution and Above Store Reporting” help protect your business. Our news feed, shift swap, timecard adjustment, stress profile with alerts, attestation language on the time card and transmission of the schedule via electronic means, help protect those affected by the Predictive Scheduling & Fair Work Week Regulations. The integration between Deputy and BambooHR allows easy staff data to sync from BambooHR into Deputy. Employee information, demographics, locations and their time-off requests, jobs, pay rates and other information can be automatically populated. It will allow you to support compliance overtime and FLSA regulations. You can easily export the payroll information with Deputy into Bamboo payroll. 24 x 7 x 365 via chat, email or phone.